Shop from Lenovo for the amazing K6 Note mobile phone to enjoy a good quality smartphone at a reasonable price. The Lenovo K6 Note has 16MP rear-camera and 8MP front-camera with an amazing 4,000 mAh battery. The K6 Note holds an internal storage of 32GB and 3GB RAM which promises easy and fast performance. You can buy a K6 Note from Jumia Egypt in many different colors. Lenovo is a well-known mobile brand that sells high quality smartphones, at low and affordable prices. 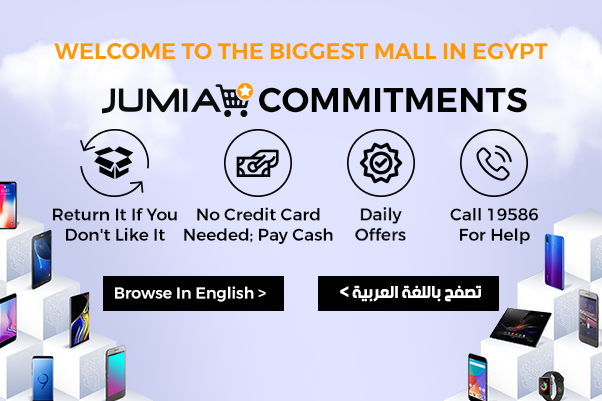 Shop for the K6 Lenovo mobile from Jumia Egypt today and enjoy a mobile experience like no other. We also offer a great collection of all mobiles at our online shop, so choose your favorite Lenovo mobile today to get fast delivery to your doorstep. The Lenovo K6 Note is a 5.5-inch screen mobile phone that runs 4GB RAM, which means you will have very high performance. The back camera of the Lenovo phone is 16MP, while the back is 8MP. With a Dual-SIM feature, you are able to insert two SIM cards to your K6 Note mobile. Shop from offers on Lenovo K6 Note 32GB price today at Jumia Egypt. After ordering your new K6 Note phone, all you need is to shop for K6 Note accessories. Get yourself a Lenovo K6 back cover and screen protector to protect your mobile from any damages. Jumia Egypt offers the best Lenovo K6 Note price in the market, fast delivery to an address of your choice and secure payment methods online.